Bettina Seitz was born in Germany in 1963 and has been working from her studio in Sligo, Ireland since 1993. She has studied sculpture at the Freie Kunstschule, Nürtingen, Germany and the Accademia Albertina di Belle Arti in Turin, Italy. 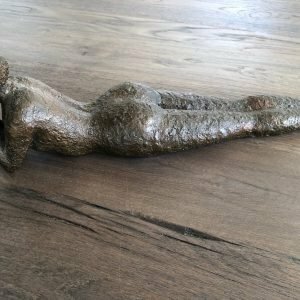 Stylizing the human form, Bettina's sculptures in aluminium, bronze or stone composite often possess an ethereal and meditative quality. She has exhibited her work widely in various countries, including Ireland, UK, USA, Germany, France, Italy and has worked on many private and public commissions here and abroad. 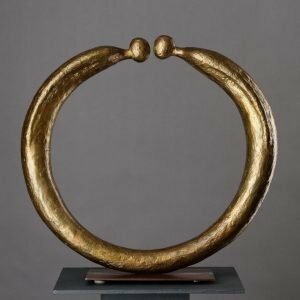 Commissioned works include sculptures at Markree Castle and Nazareth House in Ireland and the 'Augenärztliches Operationszentrum Lohr' in Germany, Boyle Civic Collection, Mc Cann Fitzgerald Collection (Dublin), Chinthurst Sculpture Garden (Surrey, UK) and collections in Saudi Arabia, the UK, the USA, Ireland, Germany, Denmark, France, Portugal, Spain, Italy and South Africa. In 2007 Bettina designed the Volta Award for the Jameson Dublin International Film Festival, which is awarded every year for career achievement. The award has been presented between 2007 and 2011 amongst others to Martin Sheen, Francois Ozon, Kristin Scott Thomas, Ciaran Hinds, Paolo Sorrentino, Daniel Day-Lewis, Brendan Gleeson, Gabriel Byrne, Jeromy Thomas and Thierry Fremaux. ... 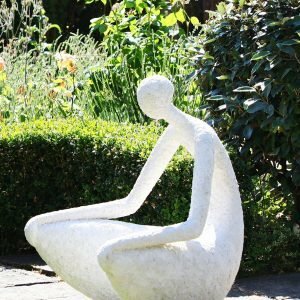 Renowned especially for her larger scale sculptures for private gardens and public spaces, the sculptures by Bettina Seitz have a still presence and sense of lightness. They have been admired by many for their serene calm, and have been described as being ‘like pure souls floating in space’. 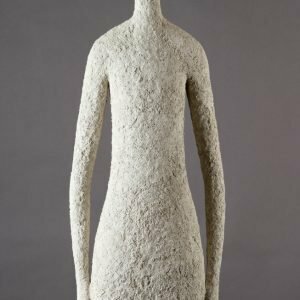 Her long elongated figures were originally inspired by a poem in the book 'The Ballyconnell Colours' by the Irish writer Dermot Healy, where two people engaged in walking and conversation transcend from their surroundings. 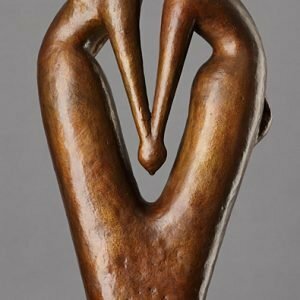 Other influences have been the works by the sculptors Giacometti and Brancusi. 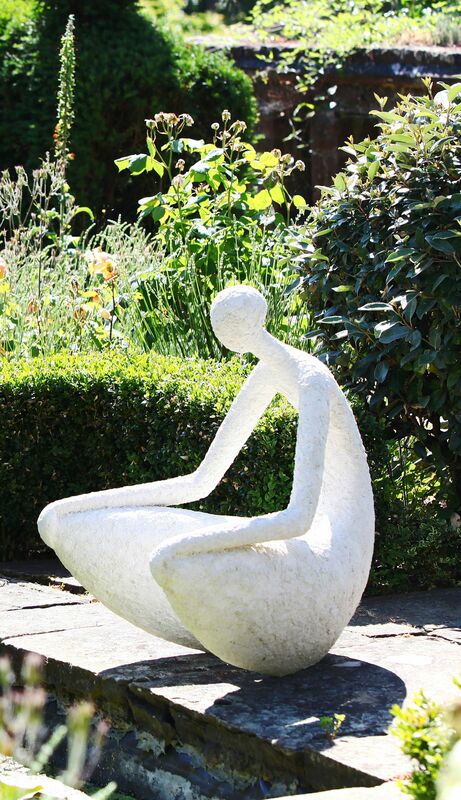 The tall sculptures in white stone composite are hand built in layers over armatures in welded stainless steel, using a mix of white sands, white cement, fibres and bonding agents. Despite the weight of those materials Bettina Seitz achieves a real sense of lightness in these works. 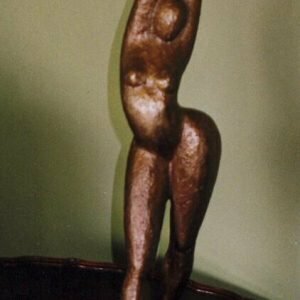 Her sculptures in highly polished aluminium were cast at Kunstguss Team Grundhöfer in Germany from originals modelled in plaster in a lost wax process. MG 3 aluminium used for the casting gives the work its light silver colour and makes it suitable for indoor and outdoor installation.